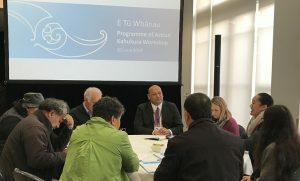 E Tū Whānau resources are helping enrich the lives of whānau staying at Te Nohoanga, an emergency and transitional housing complex on Whangaroa Harbour run by Te Rūnunga o Whaingaroa. Toa Faneva is CEO of Te Rūnunga and is also a member of the Māori Reference Group that oversees E Tū Whānau. Te Rūnanga has an ambitious ‘Violence-Free Whangaroa/Kaeo’ kaupapa. As part of this, eahc whanau gets a welcome pack on arrival that includes resources like the E Tū Whānau pass-along message cards and a new booklet, “Our Ancestors Enjoyed Loving Whānau Relationships”. Early in 2018, rūnunga staff offered rangatahi and their parents the opportunity to learn about the history of the rohe they were living in. “That’s when we came across a great quote from the E Tū Whānau Ancestors booklet. It was by an early traveller, Augustus Earle in 1832 and it was an eye opener, and provided an insight that resonated with the rangatahi in particular,” said Te Rūnunga o Whaingaroa CEO, Toa Faneva. The Ancestors resource, “Our Ancestors enjoyed loving whanau relationships“, became the catalyst for a lot of discussion. That kōrero lead to the young people coming up with the idea of an art project that would capture their thoughtful and very personal feelings about whānau violence and their aspirations for positive, violence free lives. The plan evolved into the creation of a mural on a wall of the accommodation block. 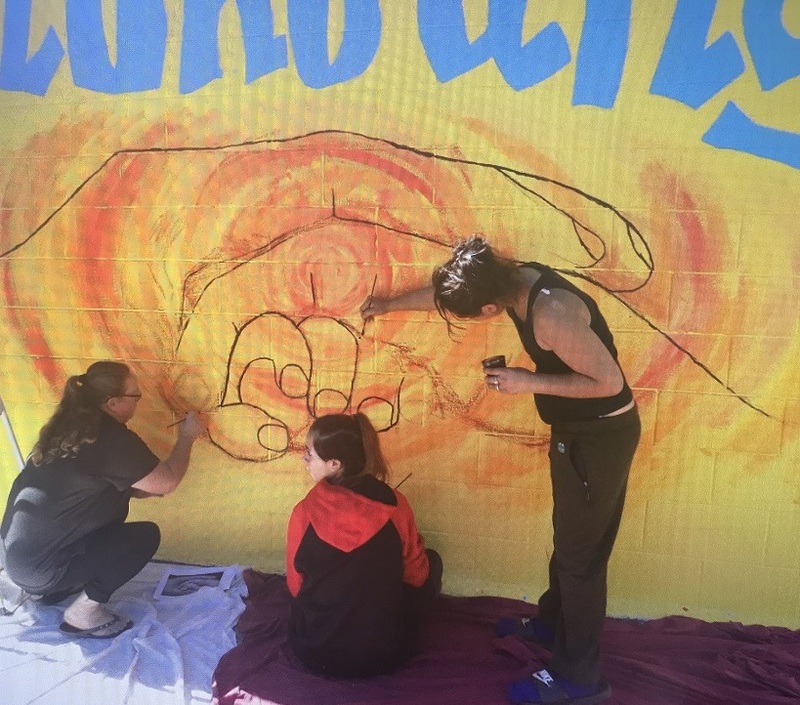 Local muralist Yazma Smith and rūnunga community worker Anna-Maria Davis worked with the rangatahi to design and paint the mural, a tender image of a baby’s tiny fist enclosed, and gently protected, in their guardian’s palms. In this short video (below) Yazma and Anna-Maria tell the story of the creation of the mural. The Rūnunga opened Te Nohoanga in October 2017 to cope with increasing numbers of homeless whānau turning up at its offices in Kaeo looking for a safe place to spend the night. Most were living in cars or in very cramped conditions with friends or relatives. 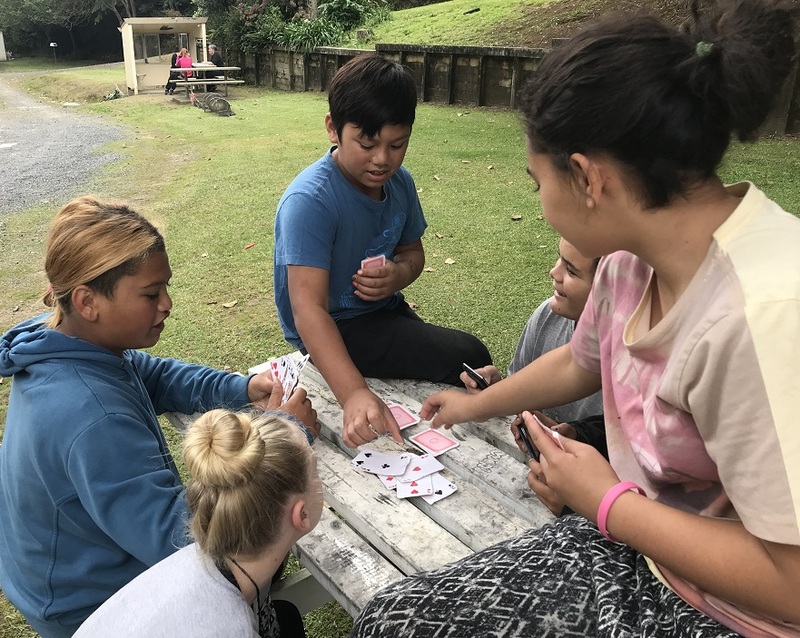 In these crisis situations, pressure ramps up and conflict is inevitable but, says Toa Faneva, when they come to Te Nohoanga all that stops. “They’re safe and warm. They can take a breather and think about things they haven’t been able to address for the longest time. “We help them to develop other life skills as well, and provide a bit of budgeting or parenting advice for example, if they want it. So long as they abide with the basic rules – no drugs, no alcohol and no violence – they can organise life here as they see fit. Families are able to live at Te Nohoanga for up to three months, but their stay is often shorter. “We take it as a success when families move onto longer term accommodation, but while they’re here, we’ll work with them to try and get them into permanent accommodation. Recently we helped one large family into a five bedroom house and helped another actually buy their own home. “It’s all about supporting whānau to make the positive changes they want in their own lives,” says Toa. Giving with no expectation of return. Knowing who you are and where you belong. Building the mana of others, through nurturing, growing and challenging. Doing things the right way, according to our values.